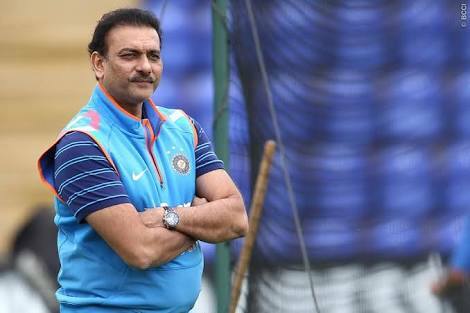 Ravi Shastri to Apply for India Cricket Team Coach Post. Mumbai:Former Indian Team director Ravi Shastri has made up his mind to apply for the post of coach of Indian cricket team.He was the director of the team between 2014 to 2016,when he led India team to the semi-finals of the World Cup in 2015. Shastri was in the race for India Coach but Anil Kumble was preferred over him. Shastri a former Indian cricketer and a well-known commentator,took over from Gary Kirsten after the Champions Trophy. Kumble who was the coach of Team India stepped down after a fallout The the Skipper Virat Kohli and his contract also ended after the recently ended Champions Trophy. Kumble didn’t go for an extension. Shastri who had initially not applied for thr Coach, has made up his mind to throw his hat in the ring.The list of persons who have applied includes Virendra Shewag,Lalchand Rajput,Tom Moody andRichard Pybus.